On An Overgrown Path: Do we need to broaden our definition of classical music? Do we need to broaden our definition of classical music? The Oud was introduced into western Europe by the Knights Templar returning from the Holy Land and by the Troubadours (from the Arabic root TRB - meaning lutanist) from Provence. Having reached the Troubadors from Muslim Spain, this instrument was to play a crucial role in the establishment of the Romantic Courts. The poetry, music and ideals that ensued from this great endeavor became the infrastructure upon which the Renaissance was built. Brought into the British Isles, the Oud was transformed in the Elizabethan period into the western European lute. 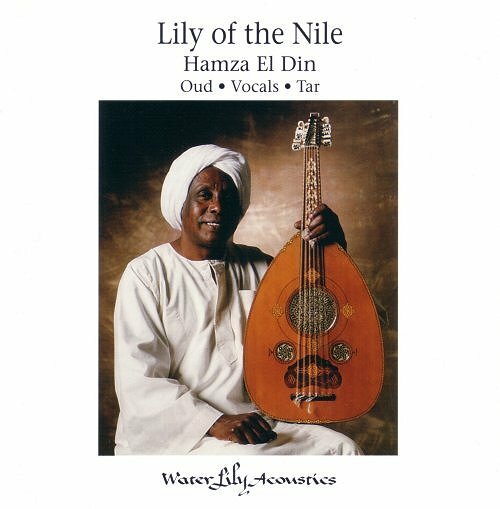 That passsage is from the sleeve notes for Hamza El Din's CD Lily of the Nile. Hamza El Din (1929-2006) was born in the Nubian territory of Upper Egypt and studied Arabic music in Cairo and Western music at the Academy of Santa Celia in Rome. Like Bartók and Vaughan-Williams, he was part of the great folkloric tradition and collected Nubian songs from the villages that were to be submerged by the Aswan Dam. He played at the 1964 Newport Folk Festival, recorded two albums for Vanguard, jammed with the Grateful Dead and collaborated with the Kronos Quartet who he was introduced to by Terry Riley. A long-term resident of Oakland, California, Hamza El Din taught at the legendary Mills College and Lily of the Nile was recorded in the Unitarian Church, Santa Barbara in 1989 with a minimalist ORTF microphone array feeding analogue valve (tube) equipment. The lineage of the oud stretching from the Middle East to northern Europe via Egypt means that Eastern culture is a stakeholder in Western classical music. Can we learn something from the migration of the oud and from the diversity of Hamza El Din's music making. Are today's classical music revisionists, who have considerable vested interests in maintaining a rejuvenated status quo, simply plucking the low-hanging fruit of concert conventions such as dress code and lighting, while leaving unchallenged the far more repressive convention of the mono-culturalism of the music itself? Is the established definition of 'classical music' inhibiting engagement with new and increasingly diverse audiences? Is classical music making the mistake of trying to convert 'new' audiences into 'old' audiences? "Brought into the British Isles, the Oud was transformed in the Elizabethan period into the western European lute." I doubt that the oud was ever "brought into the British Isles." There was lute music being published in Europe a full half-century before Elizabeth came to the throne e.g. Hans Neusidler's first publication in 1536, and the lute was certainly played in Europe before that time. None of this is to deny the relationship with the oud, but the writer of the sleeve notes should perhaps have done a bit of research. Scott, I am sure you are right and the point in the sleeve notes about the role of the oud in Elizabethan England is debatable. But do you really need to be as dismissive as "the writer of the sleeve notes should perhaps have done a bit of research"?